The criticism follows the South Korean Ministry of Unification's (MOU) announcement last month of its 2019 Work Plan, in which it said Seoul would seek to facilitate North Korea-U.S. dialogue through stepping-up inter-Korean talks. In a policy speech delivered to deputies on the second day of the First Session of the 14th Supreme People's Assembly held at Pyongyang's Mansudae Assembly Hall, Kim was on Saturday reported to have accused Seoul of "tarnishing the spirit of independence and the policy of relying on outsiders". In Hanoi, the U.S. came "to the talks only racking its brain to find ways that are absolutely impracticable" and did "not really ready itself to sit with us face-to-face and settle the problem", Kim said. 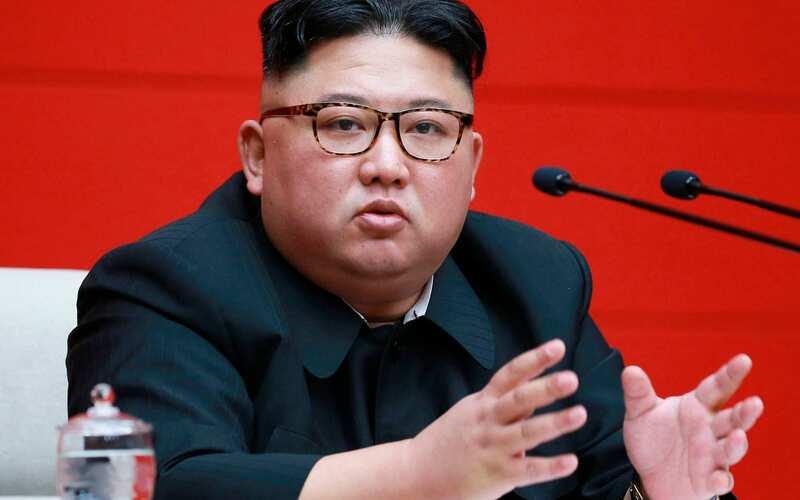 Kim Jong Un, top leader of the Democratic People's Republic of Korea (DPRK), said he is willing to meet the US president again on certain conditions, the official Korean Central News Agency (KCNA) reported on Saturday. US Secretary of State Mike Pompeo said Saturday he's "confident" that the United States will continue its "progress" with North Korea on denuclearization, as the two countries' leaders have suggested they're open to potential third summit. While Mr Kim hailed his relationship with Mr Trump, he also said the United States has been making unilateral demands and should abandon that approach. He also set the United States a deadline of "until the end of this year" to demonstrate that new talks could be more productive. In February, President Donald Trump cut short his Hanoi, Vietnam, summit with Kim with no joint agreement or statement after Kim insisted all United States sanctions be lifted from his country. Addressing the nation's parliament, Kim said that his talks with US President Donald Trump in February raised "a strong question" whether the country was right in making concessions. South Korean President Moon Jae-in and US President Donald Trump shake hands during their meeting in the Oval Office of the White House. At their February 27-28 summit in Hanoi, the US and North Korean leaders fell short of bridging the gap between Washington's denuclearization demands and Pyongyang's calls for sanctions relief. Days earlier, Kim also noted the need to deal a "telling blow to the hostile forces who go with bloodshot eyes miscalculating that sanctions can bring the North to its knees". The biggest political development related to Korean peninsula issues was Thursday's Moon-Trump meeting.